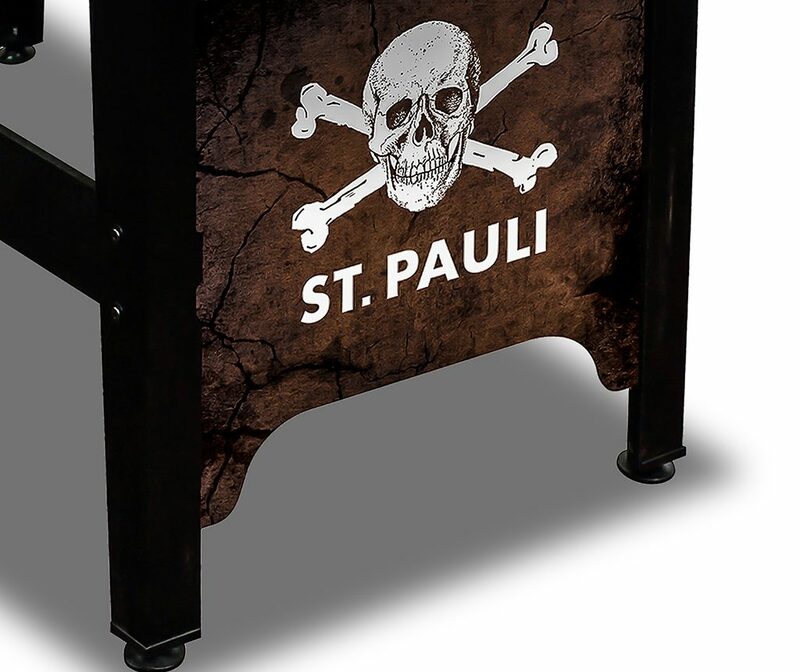 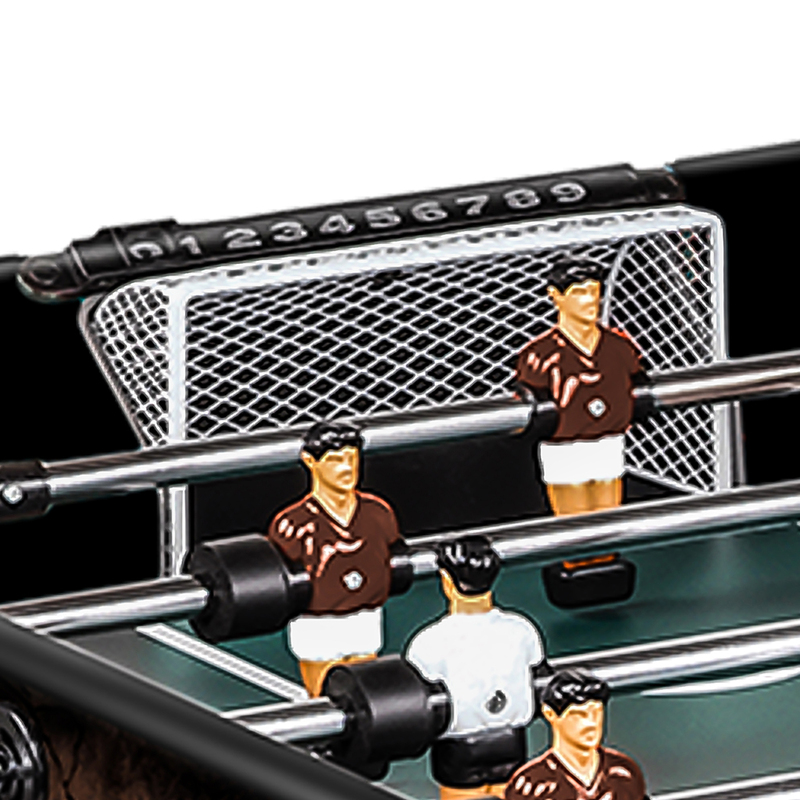 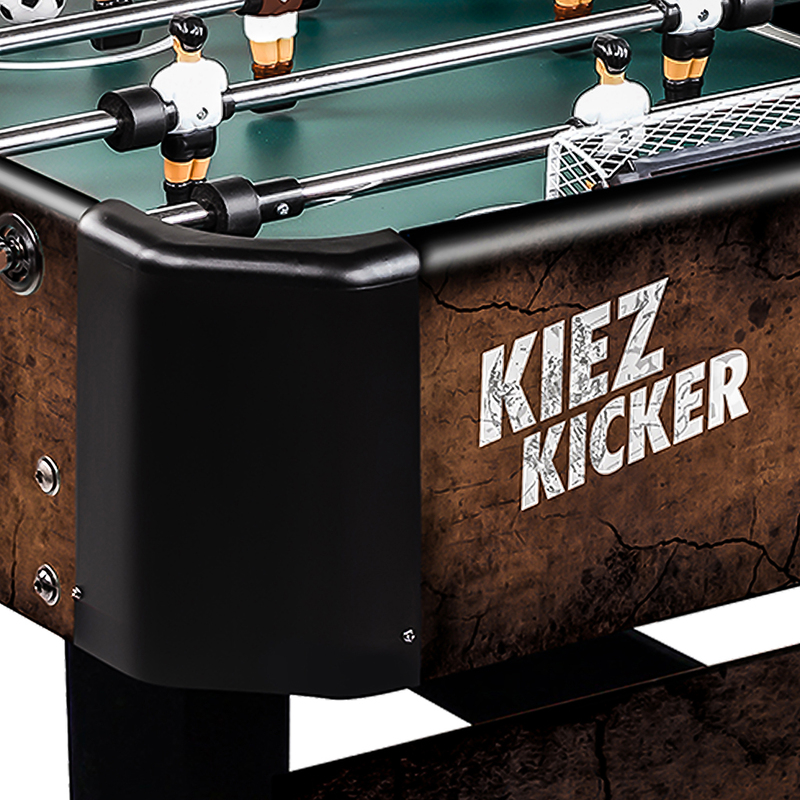 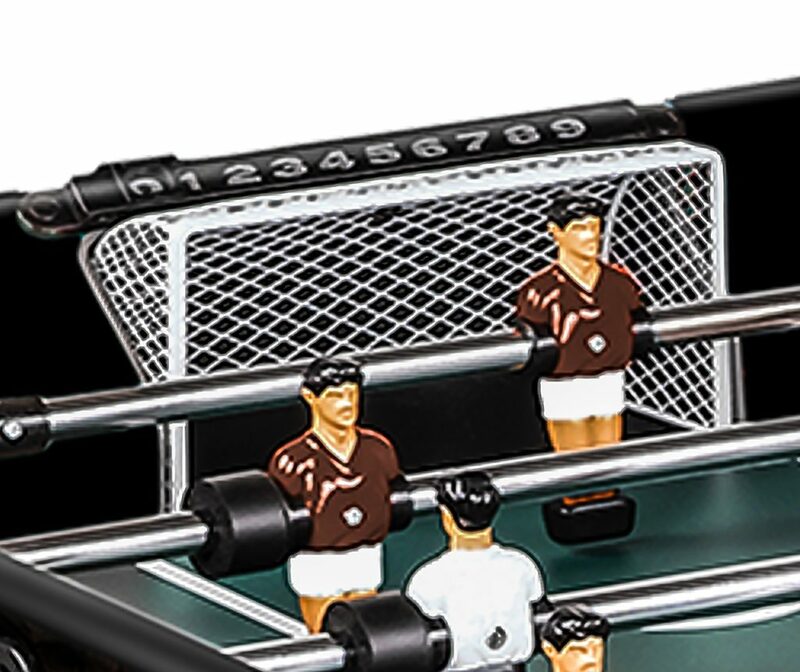 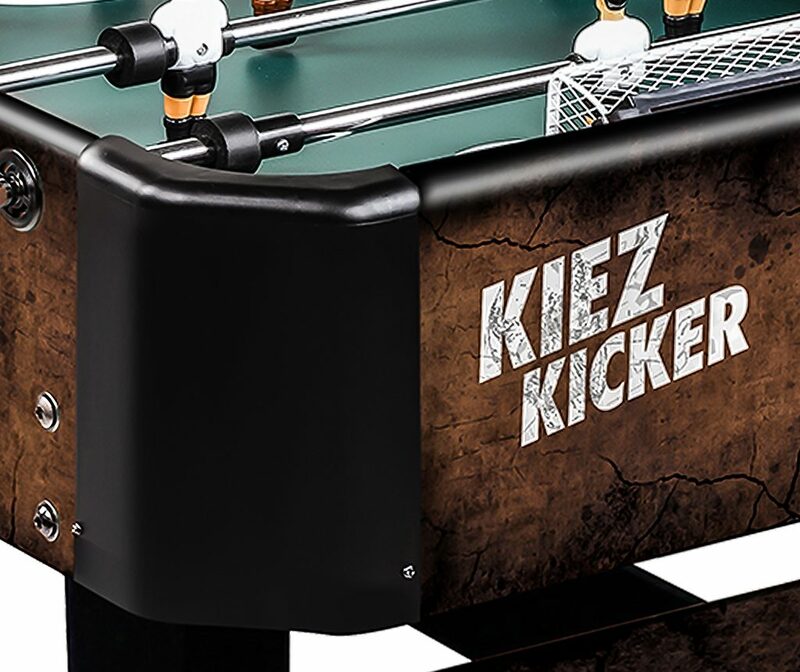 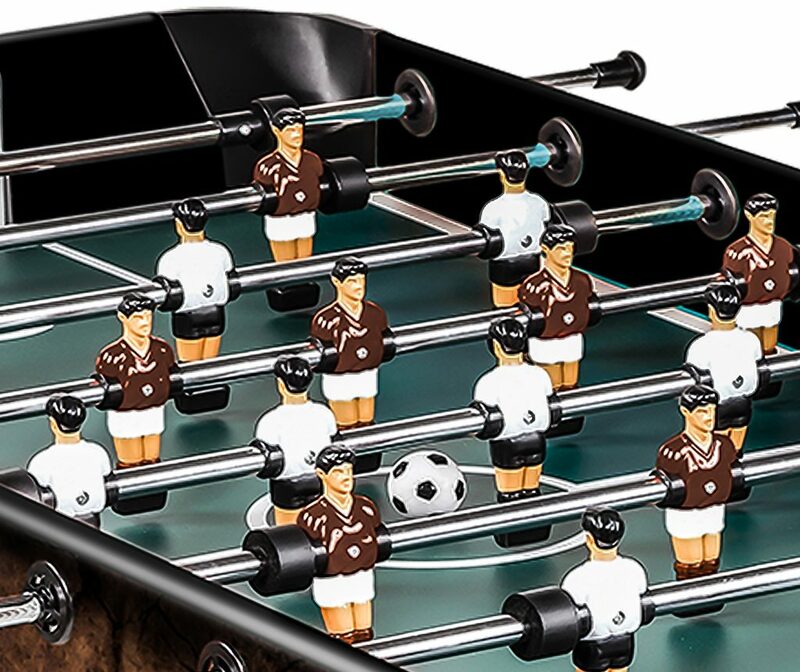 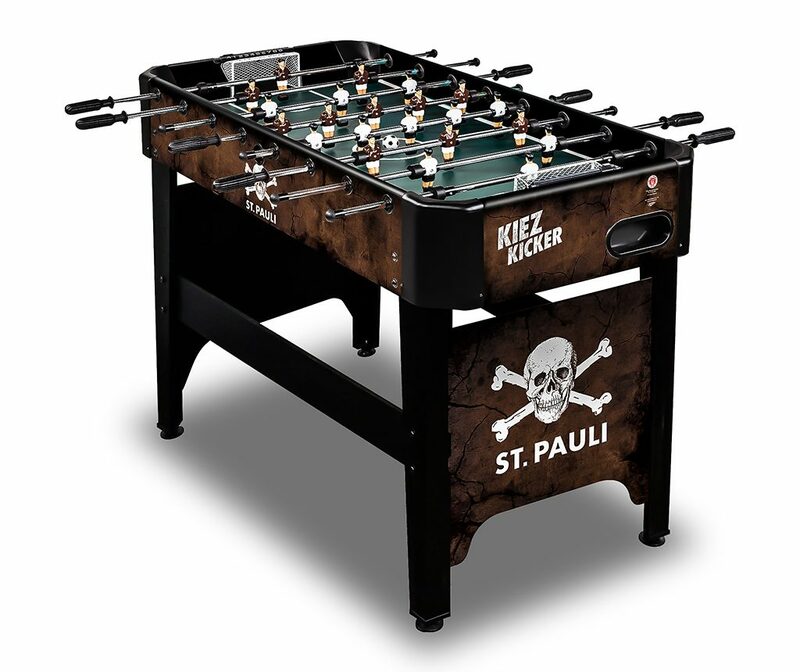 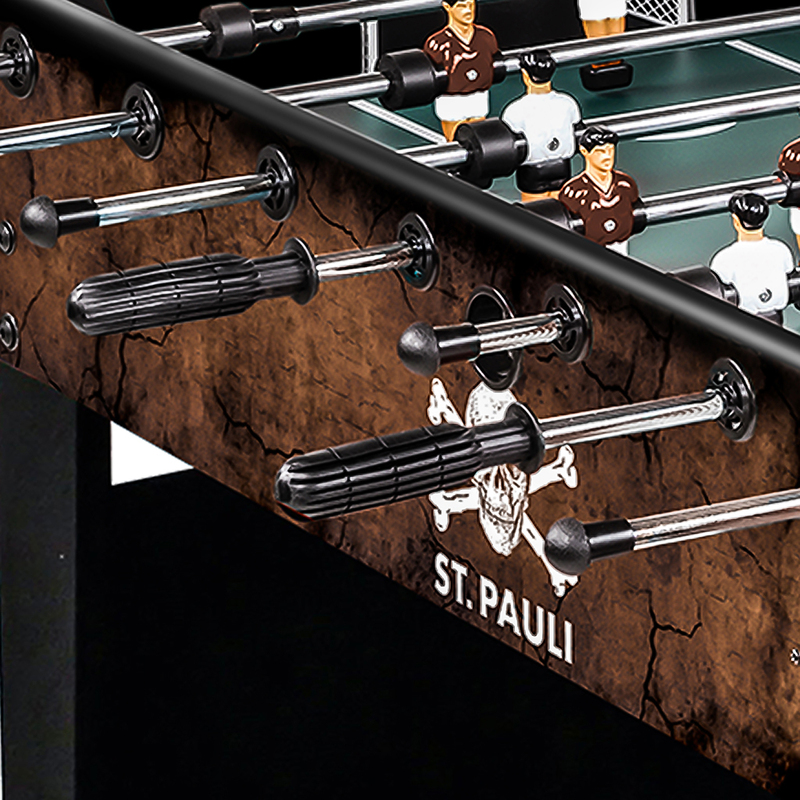 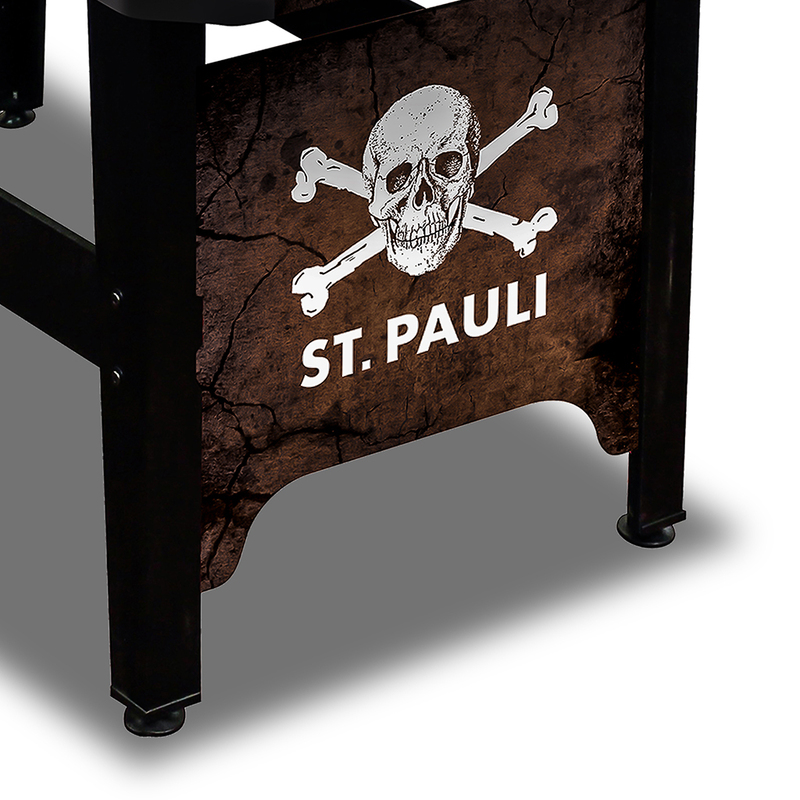 This table is an official licensed product of the legendary Hamburg-based Football Club FC St. Pauli. 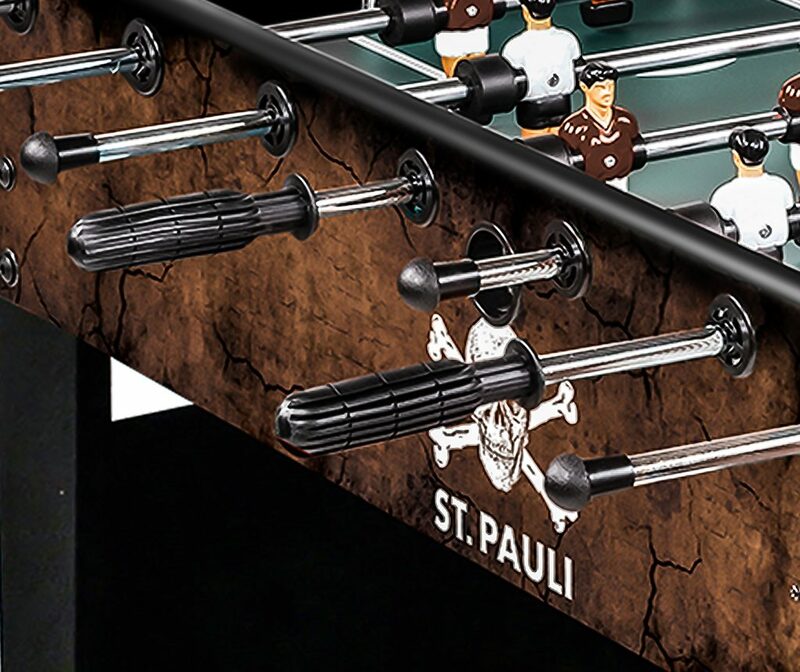 A highlight is the vintage pirate optic with big print of the club’s alternative logo the skull and cross-bones on the end panel. 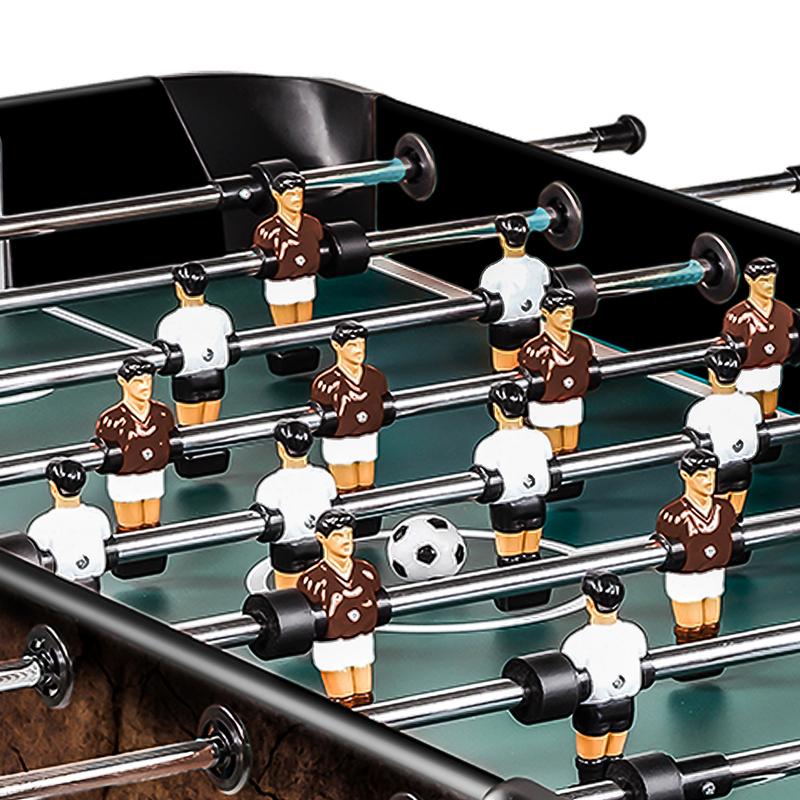 Brown jersey’s which are the team’s home dress complete the look. 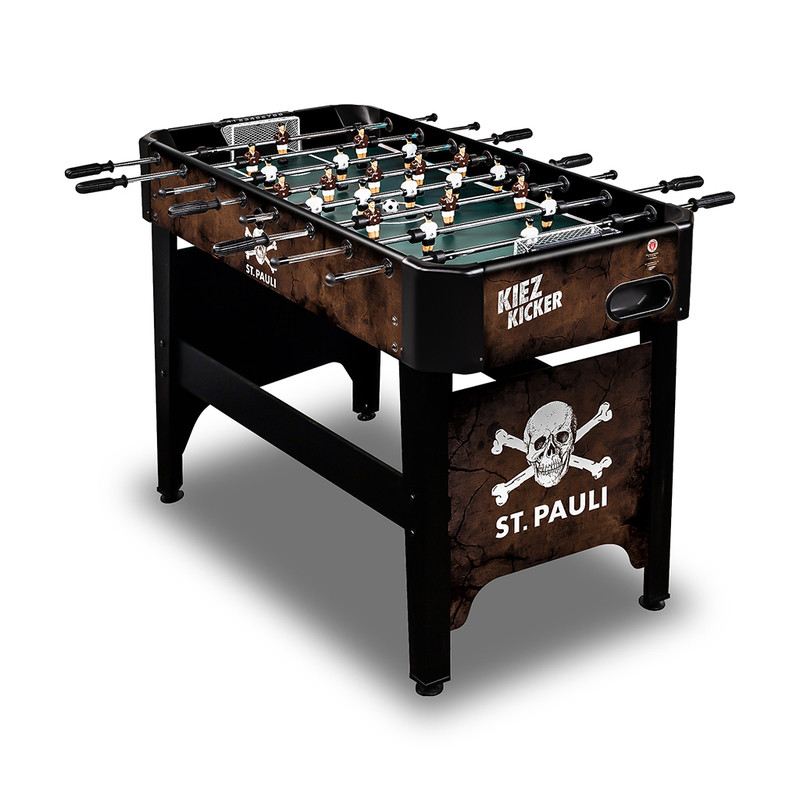 Thanks to its sturdy construction, it promises many hours of fun & action for Kids and Adults.